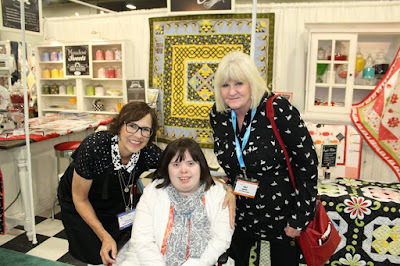 Thank you, Sarah, for taking me along to Quilt Market through your photographs and commentary. I loved seeing you with all the people and quilts. It looked like you had a really great time! Sarah, I have to tell you, I was in Cleveland before market and visited with your mom at your shop. And then when I was at the airport to go home, Mabel and Ethel were at the airport! I don't know them, but they were wearing shirts with their shop name and I recognized it! Well done on your recap! Sounds like you will have a lot of fun new things in the shop! I just love visiting there! 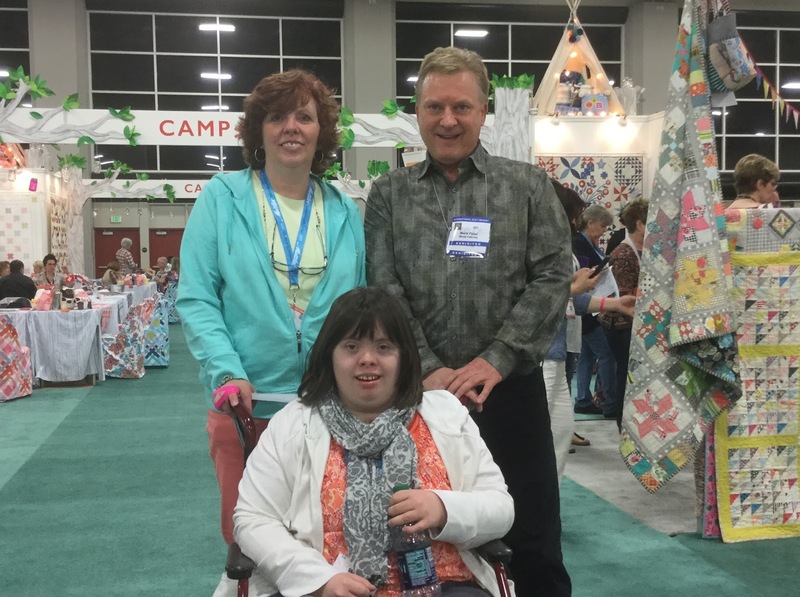 Thanks for such a great tour of quilt market. We like many of the same things and admire the same designers too. 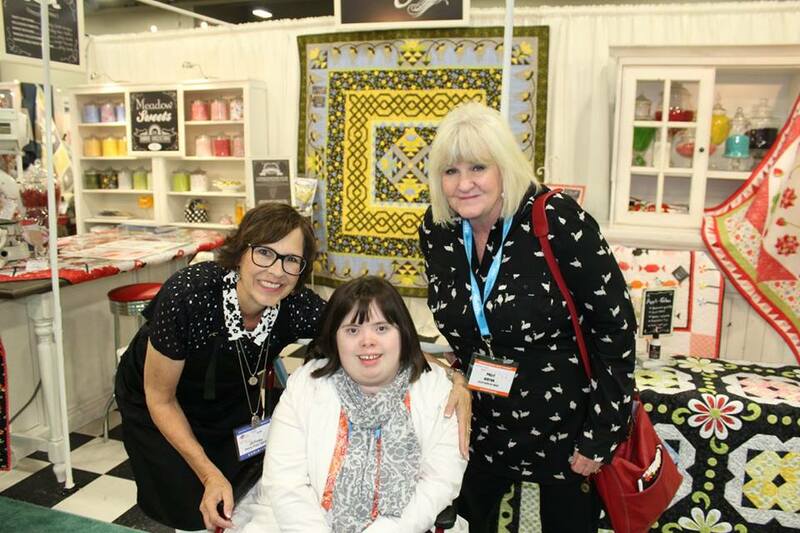 I have a granddaughter with Down Syndrome too, Caroline doesn't like to sew but she works as a hostess at a local restuarant and volunteers at the Children's hospital in Kansas City. You are about the same age and I think you and Caroline would be friends. You both like to get around and see everything and enjoy being with your friends! I hope Leah is coming with you in 2017! [or 2018 or whenever next Quilt Market is]. When I saw that big sewing machine/quilting machine, Sarah, I thought it was wonderful! Yes, orange most definitely was the colour of that group. @CarolG: that had to have been marvellous meeting up with Mabel and Ethel. What a world and wonder of exclamation marks. @Tracy: what a recap it was and is. Still processing it all. "Quilty goodness" is right. @Mascalon: great to get to know Caroline and her valued work at Kansas City's Children's Hospital and hostessing the restaurant. "You both like to get around and see everything and enjoy being with your friends!" - yes. What designers do you admire, Mascalon? Thank you Sarah for all the great pictures! 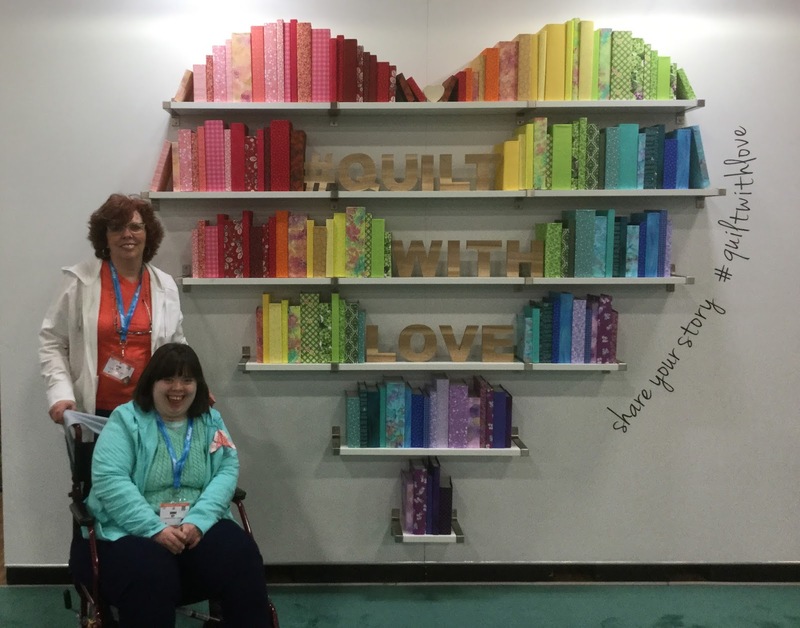 It was so much fun to read about all these people from the Quilting World. I really liked the pictures at Camp Moda! What a fun idea. Thank you so much for this post. 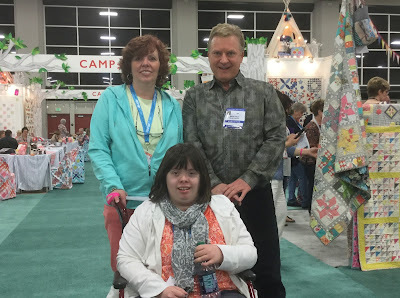 It was just like I was there at the quilt show with a very good friend. I love reading about all the wonderful things you do. Please keep blogging.